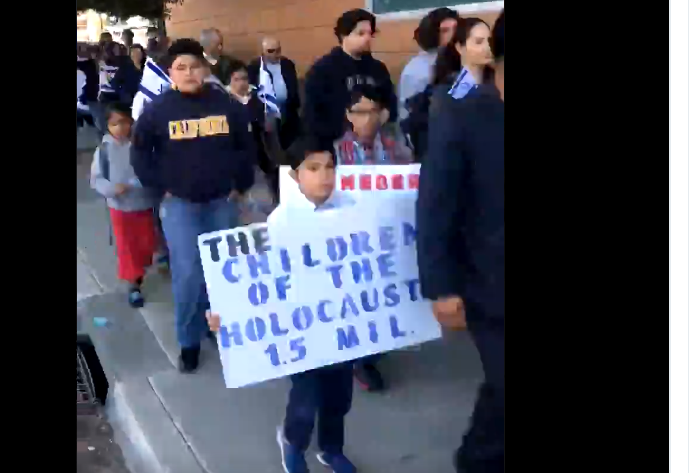 KSBW-TV reported that about 100 people gathered in Salinas on Sunday for the event following a service at the Church of Jesus Christ Temple Philadelphia. 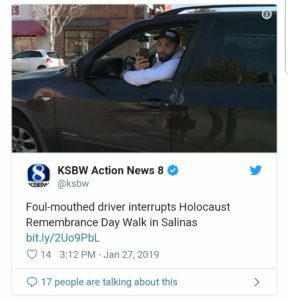 As the marchers were walking down the road, carrying a sign that said “Never Again,” and US and Israeli flags, a man in a black BMW SUV drove by and yelled obscenities and insults against Israel and the Jewish people, KSBW-TV reported. The man then circled back and harassed the walkers for a second time before driving off. Temple Philadelphia said it has been building ties with the Jewish community in Salinas for decades, teaming up with a local synagogue for events and hosting Holocaust survivors for talks. 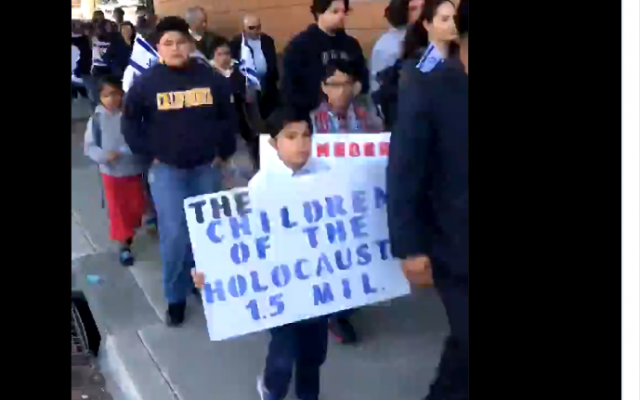 Nino Macias, who participated in the walk with his son, said days of remembrance are important to teach children about history and the importance of tolerance. “To forget what happened is to allow history to repeat itself,” he said.